Edmonton, Alb. 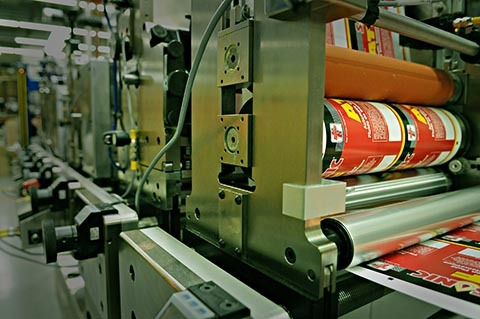 – Jet Label & Packaging, Western Canada’s largest producer of labels and printed tape for a broad range of industries, has installed a single-pass RFID inserting system involving an existing Mark Andy flexographic press and an RFID application unit from Tamarack. Engineers from Mark Andy retrofitted an existing press at Jet Label’s manufacturing facility to allow room for the Tamarack components. The resulting single-pass RFID insertion sees label stock briefly opened for RFID inlay, then relaminated via finishing operations. The new system then verifies RFID function with a reader system after die-cutting. RFID labels are becoming increasingly popular in Canada and the U.S., to streamline processing issues and reduce costs. Jet Label selected the Tamarack system for its unique ‘profiling’ motion that smooths inlay feeding, allowing for insertion at increased speeds.